This is a very easy to make Indian treat! 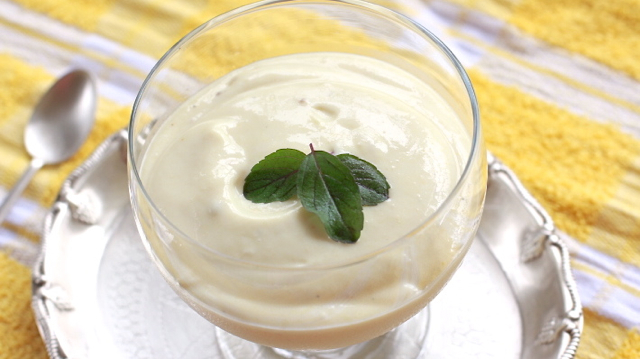 Super delicious yogurt dessert! 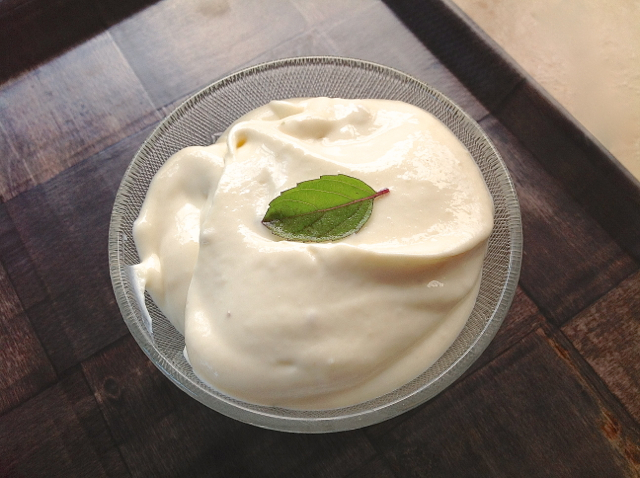 Learn how to make "Yogurt Cheese" here. 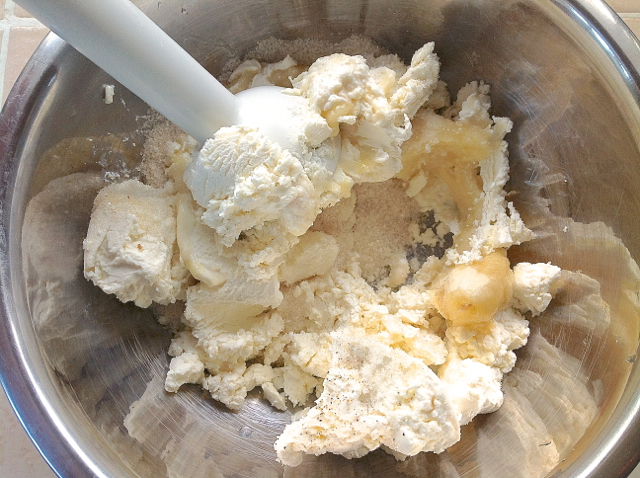 Place all the ingredients into a mixing bowl. 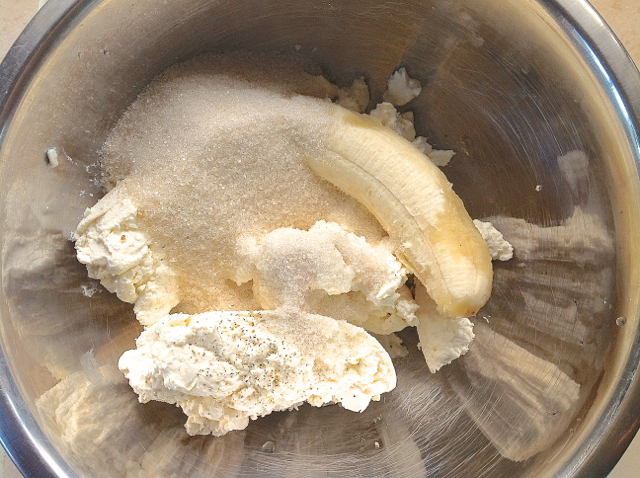 Use a hand blender to blend everything together. 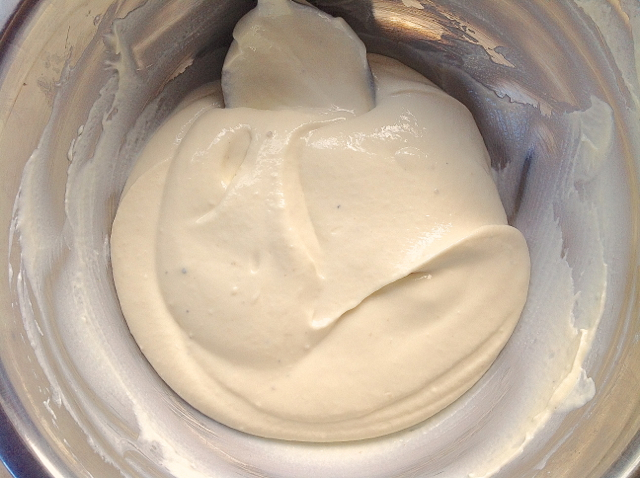 Blend until nice and smooth. About 3 minutes.